Nonprofit healthcare organizations are confronting an unprecedented series of challenges as they strive to maintain positive operating margins in the face of declining reimbursement from insurance companies and governmental payers. 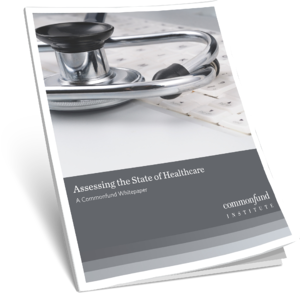 What is the role of the endowment in our healthcare organization? How do actual and potential donors evaluate our skill in managing our present endowment? How can we make the case for larger endowments – and contributions – at a time of fiscal uncertainty? Fill in your details to download this Commonfund whitepaper today.